What are the sources of your amino acids? Each singular amino acid is derived from a different natural source. For example, the source of L-Lysine is different from the source of L-Leucine. Unlike protein powder, which has a single source of protein and amino acids such as milk, or milk byproducts, each free from amino acid has a different source and are produced as single molecules. This is the main difference between protein powder and free form amino acids. The single molecule free form amino acids are more effective in that they are absorbed and utilized almost immediately, whereas the digestion process of protein is a four to six hour energy depleting process. The food and pharmaceutical companies that produce the free form amino acids include corn and molasses as sources of the amino acids. It should be noted that while the free form amino acids have natural sources, they have been transformed into hypoallergenic, pure molecules. They are beyond their protein source and don’t retain the characteristics of the original protein. If I take more than one product, am I taking too much? Amino acid products containing L-Phenylalanine should not be used by phenylketonurics, those with the genetic disorder Phenylketonuria (PKU) -- the inability to metabolize phenylalanine. This is a condition diagnosed at birth effecting less than .001% of the population. L-Tyrosine should not be taken before contacting your doctor if you are taking antidepressant drugs containing MAO inhibitors or SSRI’s. Free form amino acids are the building blocks of life itself and are critical to the human body for thousands of functions. Free form amino acids are produced as single molecules and they are not only completely safe, they are vital to good health. Many amino acids are used by health practitioners to treat certain health conditions. When used therapeutically, one should follow your health practitioner’s specific dosage instructions. Do I need to work out in order to use your supplements? For 25 years AnabolNaturals has been a leading provider of the best pharmaceutical grade free form amino acids to athletes, health practitioners and the general public. 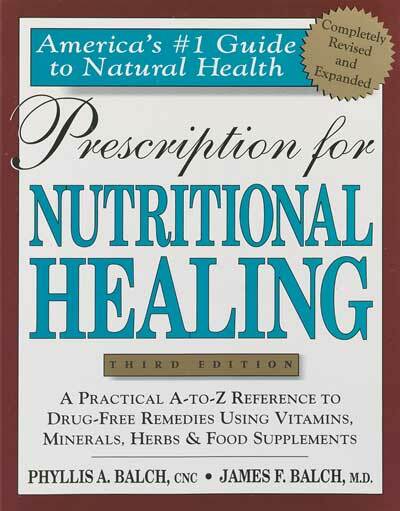 Our products are mentioned many times in the nutritional best selling book, Prescription For Nutritional Healing, featuring therapeutic applications for a variety of health conditions. While we feel exercise is a very important component of health, there are many people whose health condition prevents them from exercising. 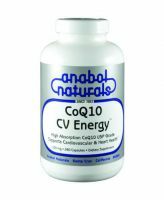 AnabolNaturals’ amino acids are extremely effective for many health conditions, irrespective of exercise. Do I need to take a protein powder if I take the Amino Balance? Amino Balance and protein powders are both food supplements. Some of our customers take protein powder as well as our amino acid formulas, including Amino Balance. But if budget is a concern, you can eliminate the protein powder. The cost to benefit ratio for our free form amino acids is much better than with protein powders. You will get faster, greater results with AnabolNaturals Amino Balance free form amino acids. If you do choose to take a protein powder in conjunction with Amino Balance, we strongly suggest you take Amino Balance between meals separate from the protein. The exception to that suggestion would be for athletes trying to put on bulk weight gain or persons in a wasting, catabolic health condition state: for these we would suggest taking Amino Balance with the protein powder or a meal. What is the best way to take the powder? There are several ways to take our pure crystalline powder. The most efficacious is to put the powder under the tongue (sublingual) where it is absorbed directly into the bloodstream for immediate utilization. When taken sublingually, our amino acid powders completely bypass the gastrointestinal tract. Our crystalline amino acids are molecularly pure and are not flavored. Each singular amino acid has a different taste. If taking our amino acids sublingually is not palatable, they can be mixed in juice or water. Each amino acid has different soluability. The third method is to put the amino acid powder on your tongue and wash it down with juice or water. One gram is equal to 0.353 ounces. Our powders come in 100 grams, 500 grams, 1000 grams and 2500 grams. 100 grams is equal to 3.53 ounces. 500 grams is equal to 1.1 pound. Orders received by 2 PM will be shipped the same day they are received. U.S. orders are shipped via Priority U.S. Mail or UPS ground and are delivered in 4 to 7 business days. Foreign orders are shipped via Postal World Express and take 7 to 10 days. UPS Next Day Air and 2 Day Air are available in the U.S. at an additional shipping charge, depending on the weight of the package. UPS 2 Day Air is available for foreign orders at an additional shipping charge, depending on the weight of the package. Do I need to take the products on days when I don’t work out? In general it takes 2 to 6 weeks to feel the recovery, energy and endurance benefits. After six weeks you should starting seeing the physique benefits. Results will vary by individual. Diet and training intensity also affect physique results. I have allergies. Will your products cause any allergic reactions? AnabolNaturals pure crystalline free form amino acids are hypoallergenic—extremely non-allergic. Many people take our products to enhance their immune system to combat a variety of allergies—food, chemical and environmental. If you suffer from allergies the probability of our free form amino acids helping you is extremely high. However, in the event they do not help you, simply contact us for a refund. Many people over a broad range of ethic groups including African American, Asian and Caucasian suffer from lactose intolerance. Amino Balance is a very effective lactose free source of amino acids. I’m a vegetarian. Can I take these products? Our pure crystalline free form amino acids are appropriate for vegetarians. In fact, many vegetarians balance their protein by supplementing with our free form amino acids. Our products are available in powders and capsules. The capsules are gelatin, so vegetarians need to simply empty the powder from the capsule. Which products are right for my objectives? Please see our Shop By Training Objectives chart. Please see our Usage chart.